When measuring for roman blinds we recommend you always use a metal tape measure. Measure the width of the recess from wall to wall in 3 different places and take the smallest as your measurement. Measure the drop from the recess to the sill in 3 different places and again take the smallest as your measurement. Then decide if you want the track fitted on the window frame (face fixed) or the ceiling of the recess (top fixed). Measure the width from where you want the blind to cover allowing 5 - 10 cm on either side of the window. Measure the drop from 10 - 15 cm above the window to 5 - 10 cm below the sill. The blind will take up about 15 - 20 cm of space when pulled up. 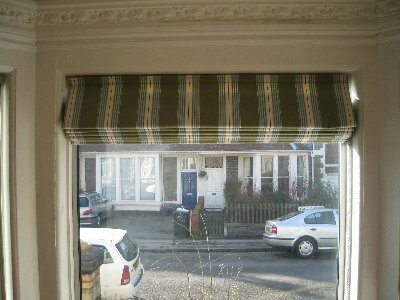 These can be tricky to measure as the blinds must have a gap between them if on the outside of the recess to allow for the fittings, please call for instructions. 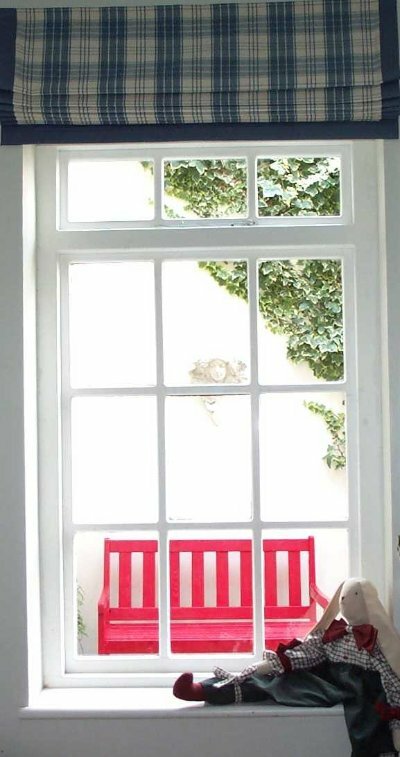 If your window has a slight angle you need to measure the recess for the width of the track, then measure 4cm away to get the measurement for your fabric width. This will allow your blind to cover the recess. Please note the track system when fitted will extend 4cm.